Get yourself an instant collection of artistic awesomeness in 1 fabulous Mighty Deal! 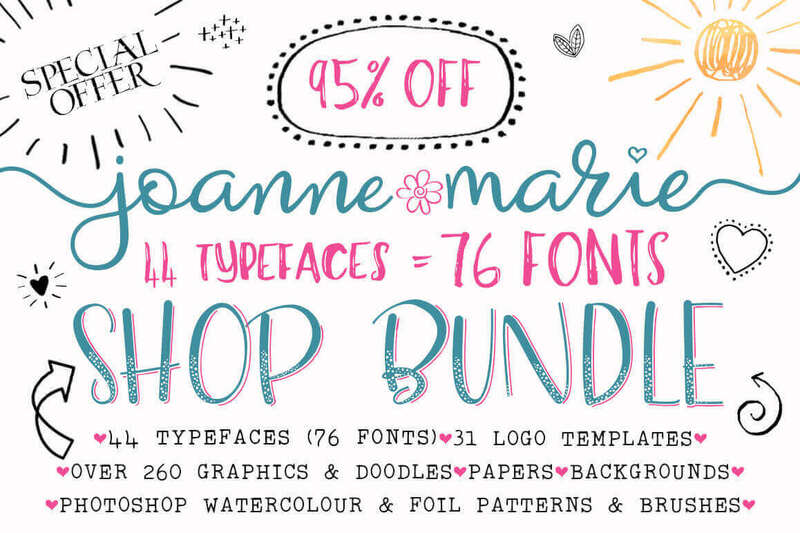 This Joanne Marie Shop Bundle features more than 450 high-quality fonts, logos, backgrounds, patterns, brushes, splotches, graphics and more! There’s even a set of 2 Marketing templates to work with! With this beautiful set, you can create anything from wedding invitations to T-shirt logos. I can’t find where to purchase this bundle. Is something missing? Oh no that’s the wrong link! Sorry here’s the right one.